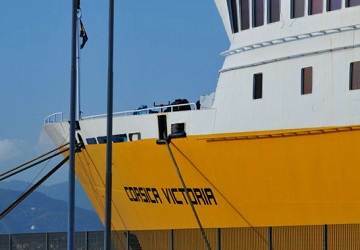 The Corsica Victoria is a classic cruise ferry with a capacity for 1700 passengers, 400 cars and features all the amenities of a modern ship. Onboard you’ll find a selection of en-suite cabin accommodation, seating lounges, cinema, 3 bars, shops, a la carte restaurant, cafeteria, outdoor pool, sun deck, children’s play area and a video games room. 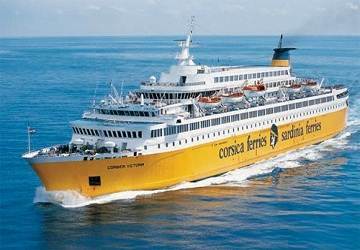 There are around 840 beds on the Corsica Victoria spread across 223 private cabins. All are en-suite, above the car deck and in a selection of inside and outside (sea view). Onboard the Corsica Victoria you’ll find a top class restaurant affiliated with the famous ‘Chaîne des Rôtisseurs’ – a guarantee of quality and offers a choice of set menu and a la carte. For something more relaxed there is a self-service restaurant/cafeteria. There’s a choice of 3 bars too – Cocktail bar, panoramic bar and an outdoor pool bar on the sun deck. Children are well catered for onboard the Corsica Victoria with their own dedicated play area. There is also a video games room for older children. Please Note: Whilst we have taken great care in making our Corsica Victoria guide as accurate as possible, onboard facilities, services and entertainment may vary depending on the date and time of year that you travel, facilities mentioned may change without notification and ferry companies reserve the right to operate vessels other than those mentioned at time of booking without prior notification. Great, trouble free, calm and sunny way to sail into the stunning port of Calvi. Find a deck chair and relax. Punctual ferry, really clean, helpful staff. See you next time. Excellent crossing made from nice to Calvi, cheerful service and comfortable resting chairs and sofas. nice trip to Calvi, cheerful service and comfortable resting/ sitting area and nice outside deck. The journey was nice and in perfect time. But the air conditione was too cold... You should ventilate more the toilets. Apart from this all ok.
We used the overnight Nice to Corsica ferry on our motorcycle tour. Great service with the staff taking go care of the bike when tying down. The ferry cabin was very clean and comfy. Would definitely recommend. "Trip to Bastia, October 2014"
The ferry was a great experience by and large. It was a little confusing figuring out where to go exactly to check in and get on the boat in Livorno, so if you're picking the ferry up there, make sure you have a little extra time beyond the 90 minutes. 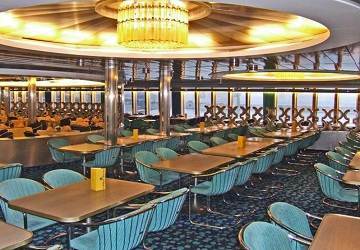 The ferry is nice though, almost like a mini-cruise ship with lounges, TVs, a couple of bars, a restuarant and a cafeteria. Even though it was a hour trip, the time passed quickly.